Love London has moved: welcome to Sophie’s new site! The Blue Badge is the UK’s only national guiding scheme. Sophie qualified in 2011 and combines guiding with journalism, working with anyone from families to conference delegates, from the very fit to the elderly or disabled. 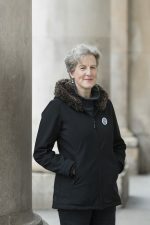 She specialises in long walks – from 4 hours to a 50-mile, four-day trek from Hampton Court to the Thames Estuary – but happily arranges gentler jaunts such as pub crawls, children’s days, gallery visits and shopping outings. She also works with companies on team-building, familiarisation and relocation walks and offers a UK-wide tour planning service for individuals. Sophie guides in Bath, Oxford, Canterbury, Windsor, Stonehenge and the Cotswolds, as well as London, and charges by the full or half day. Have a look at the tour ideas below and feel free to mix and match. "I've worked with over a hundred guides in my career and Sophie Campbell is the best in the business." "LOVED my afternoon, now thawing out!" "I’d just like to say a massive thank you for all your help and your brilliant guiding during our Paddington press trips last week. I know all the journalists that came along really enjoyed the experience – as did I!" "A quick note to thank you for your help in making our time in London so wonderful. I appreciated all you did, as well as your patience, thoughtfulness and good humour." "Just a quick note to say thank you so much for your escorting the Aussie journos on the recent VisitBritain/British Airways press trip. They loved your insights on the neighborhood and really didn’t want you to leave so soon!" "We had a terrific time. Sophie, can’t say enough good things, and we all feel the same way." "Thank you for your patience during our first two days! Your thoughtful plans and flexibility helped us tremendously. The kids are now ready for their two days at ExCel, having seen lots of sunshine, the Tower of London and Windsor." "We loved meeting you and really enjoyed all that you shared with us - and today was a record 17,600 steps - about 6.3 miles." "Thank you so much for your expert and engaging leadership ... I learned so much more than I would have done on my own, and the privileges of seeing parts of the city which would otherwise have remained secret contributed massively to the experience." "The clients' praise of your lecturing was glowing. 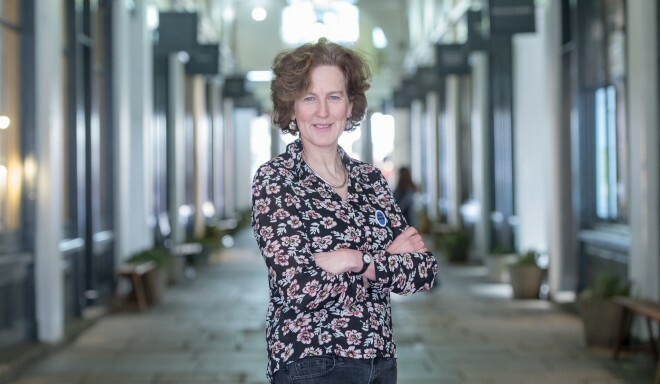 You were described by one client as 'a fount of knowledge', another said you had an infectious interest in your subject and another said that there could not have been a better lecturer." "Thank you so very much for the lovely tours you gave us last week. We really enjoyed being in London the entire time we were there, but our best time was with you. Thank you again!" "Sophie Campbell is the best guide we have ever had the privilege of being led by. She ensured that we maintained a good rate each day, to remind us that the main purpose was a distance walk. However, the choice of venues to see on the way, plus the depth of her knowledge about them, ensured we were treated to an amazing new day every day of the walk. We couldn't wait to join her each morning. If we find that she does other tours in London, we'll be joining them." “The whole family really enjoyed your guided tour and were amazed by some of the streets we explored and also the mass of information and parts of the parks visited about which we knew little to nothing”. “Sophie tailored our tour to our specific interests (shopping!) and we had a delightful three and a half hours not only sightseeing but learning about past history and the development of London. As well Sophie gave us a lot of information and tips for the rest of our holiday which really made the rest of our week fabulous”’. “It was wonderful to spend the day with someone who is knowledgeable and able to explain in depth and breadth the areas I was interested in. Sophie is passionate about London and its history…all day she kept the interest going and never did I feel it was just a job”. Never been before, what should I see? Done all the usual stuff, surprise me. These rates apply to groups of 10 and under. For larger groups or corporate rates, please ask for a quote. Travel planning is charged by the hour with no booking markups. Check availability and get in touch by phone or email.